Welcome to the MATC IT Networking Program’s Home Page. Our IT Networking Program prepares you for a career in managing networks, to help businesses utilize their networks to the fullest. You will have hands-on experience with the latest Operating Systems and hands-on with hardware ranging from routers and switches to blade servers and fiber. Using a combination of virtualized, simulated and real equipment, our degree puts you in front of the equipment firsthand, learning from individuals with professional experience who are able to answer your questions. Our classes are designed to: keep you up to date with the latest technologies, reinforce strong problem-solving skills, and prepare you to work alone or with others just like in the workplace. IT Network Specialist curriculum is continually being evaluated and updated to reflect the latest technologies. Students attain the skills necessary to not only acquire a job in the IT industry but also succeed in their new working environments. Our instructors have experience working in the industry and are very passionate about student learning. Most of our IT Networking instructors are currently employed or were employed in IT divisions of private companies, bringing the latest knowledge and techniques from the enterprise directly into the classroom. Learn more about MATC IT Network Specialist faculty. Most MATC IT Networking courses lead to industry certification, adding more job possibilities and helping students to differentiate themselves during the hiring process. You will be ready to take industry certification exams including CompTIA A+, Network+, Security+, VMware VCP5-DCV, EMC ISM, CCNA. This course provides preparation for the Microsoft Technology Specialist (TS) exam, 70-411: Administering Windows Server 2012. Topics include the configuration and troubleshooting of IP addressing, name resolution, network access, file and print services, and managing network infrastructure. Students will be introduced to Microsoft Windows Server through lectures, demonstrations, discussions and hands-on labs. This course advances the content presented in ITNET-110 and ITNET-112. MATC strongly recommends that students complete ITNET-112, or have the equivalent skills, prior to enrollment in this course. This course provides preparation for the Microsoft Technology Specialist (TS) exam, 70-410: Installing and Configuring Windows Server 2012. Topics include the configuration and troubleshooting of Active Directory DNS, server roles, objects and environment. This course advances the content presented in ITNET-110. MATC strongly recommends that students complete ITNET-110, or have the equivalent skills, prior to enrollment in this course. This hands-on training course explores installation, configuration and management of VMware vSphere, which consists of VMware ESXi/ESX and VMware vCenter Server. Students are introduced to virtualization and storage management concepts using VMware server virtualization products. This course is required to sit for the VMware Certified Professional (VCP) examination. Students should be concurrently enrolled in (or have completed) ITNET-111 and ITNET-134 prior to taking this course. Storage Area Network (SAN) introduces students to an “open” storage curriculum that is focused on storage principles rather than on products. The objective is to provide a comprehensive introduction to storage technology, enabling participants to make more informed decisions about information management and storage regardless of storage platform. Students join us the many communities places in the Milwaukee metropolitan area, including Waukesha and Ozaukee counties, and other areas. 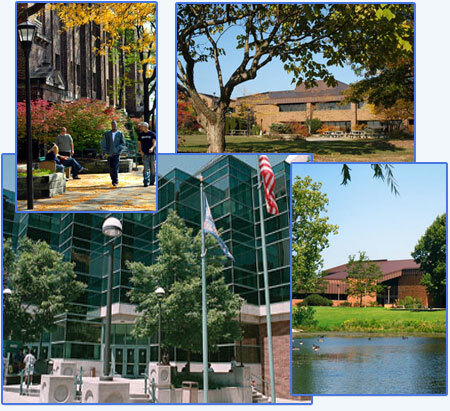 MATC has campuses in Milwaukee, West Allis, Oak Creek and Mequon to help better serve our students and offer a variety of programs based on students’ needs. Milwaukee Area Technical College is the bridge to a better future for our students, graduates and community. That future is built upon a solid yet vibrant past. Over the course of more than 100 years, MATC has played a crucial role in the growth of the greater Milwaukee community. Founded in 1912, MATC has grown to become one of the Midwest’s largest community-based technical colleges. MATC offers 200 degree, diploma, certificate and apprentice programs. One of the key IT programs offered through the MATC School of Business is the IT Computer Network Specialist program. Click here to learn more about MATC’s history and how getting your education at MATC will benefit you.